Yoga has been a part of Suhana’s life for more than a decade. It has helped her to appreciate her body’s ability to bend without breaking, to move with her breath and carry her own weight in challenging poses.When she became a mother, she also realised how strong a woman’s body can be, to be able to grow and nurture a baby from within. Raising two boys of her own, yoga has not only helped her be stronger physically, but mentally and emotionally. It has also given her the key to find her own voice again. Wanting to share her passion for yoga, especially to new mothers, she embarked on her 200 hour teacher training. From this, she obtained knowledge on fundamental alignment in asanas, moving with the breath and different meditation and breathing techniques. 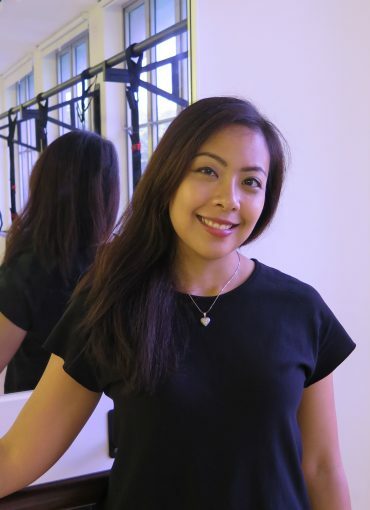 With this, she hopes she can spread the message that yoga is not just about stretching.Her yoga style is to combine creative sequencing with an element of awareness of the body and mind. She begins her classes with breathing exercises and a short meditation, followed by creative sequencing with an element of awareness of the body and mind. After every class, she hopes the students leave feeling reenergised, centered with a sense of contentment.